Many people think a hardwood floor would be the best choice for pets, especially dogs. But when you think of choosing the best floor for your pet, you need to take the animals welfare and comfort into account, as well as your budget and the maintenance likely to be needed over the lifetime of the pet. 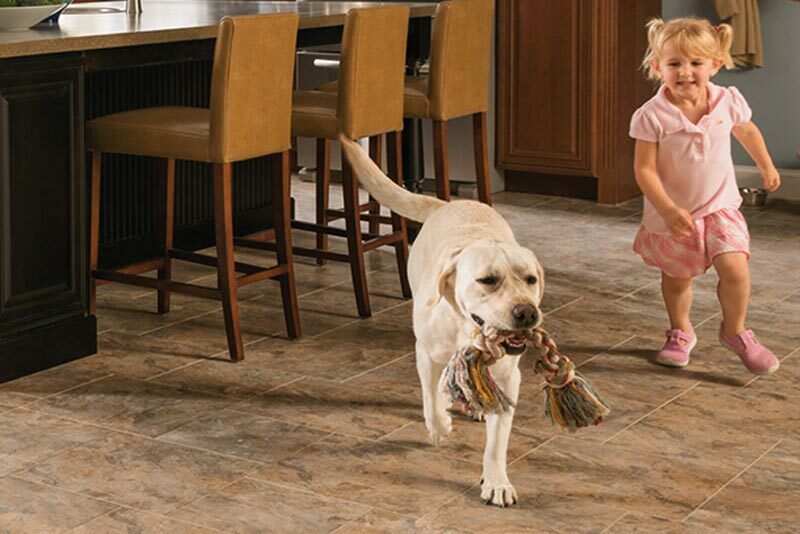 Here are some thoughts on the best flooring for pets. Many dog types love a soft floor to lay on, especially those without much fur on their tummy region. Their choice of floor covering is usually carpet, though often their owners disagree. It is true that carpet can be damaged by pets, especially if they have an accident on it. However, fond pet owners to whom their little doggie friend means everything may not care. If you want carpet and pets, you can put down mats at doorways to minimise dirt getting tracked inside. Choose carpet with a cut pile that will not get caught in claws. This would be uncomfortable for your pet and is likely to ruin the carpet as one pull will undo a whole row of stitching. Vacuuming the carpet frequently will help minimise pet hair and dander. Scheduling regular visits from a professional carpet cleaning company should keep your carpet looking brand new.